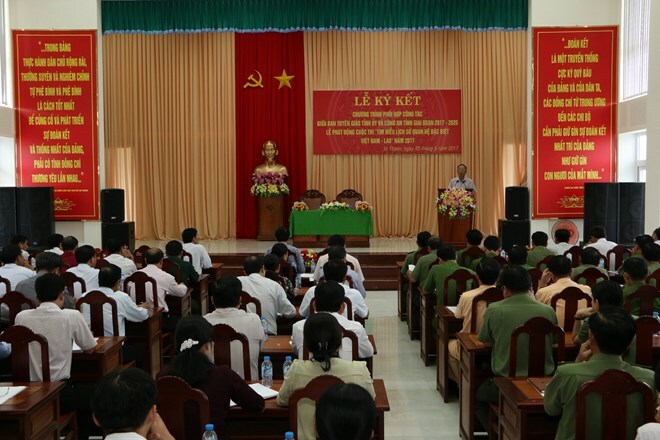 Hau Giang (VNA) – The Mekong Delta province of Hau Giang launched on May 25 a contest on the history of Vietnam-Laos relations, which enter their 55th founding anniversary this year. Nguyen Van Tho, deputy head of the provincial Party Committee’s information and education board, said the contest aims to educate local residents, especially youngsters, on the revolution tradition and the special friendship between Vietnam and Laos during the struggle for national liberation and the national development. The two countries now need even closer ties to together enhance the special relationship, which is a prime example of international solidarity at present, and promote their own sustainable development, he noted. He said the contest is a practical activity in respond to the Vietnam-Laos Solidarity and Friendship Year 2017, the 55th founding anniversary of bilateral diplomatic ties, and 40 years of the signing of the countries’ Treaty of Friendship and Cooperation.